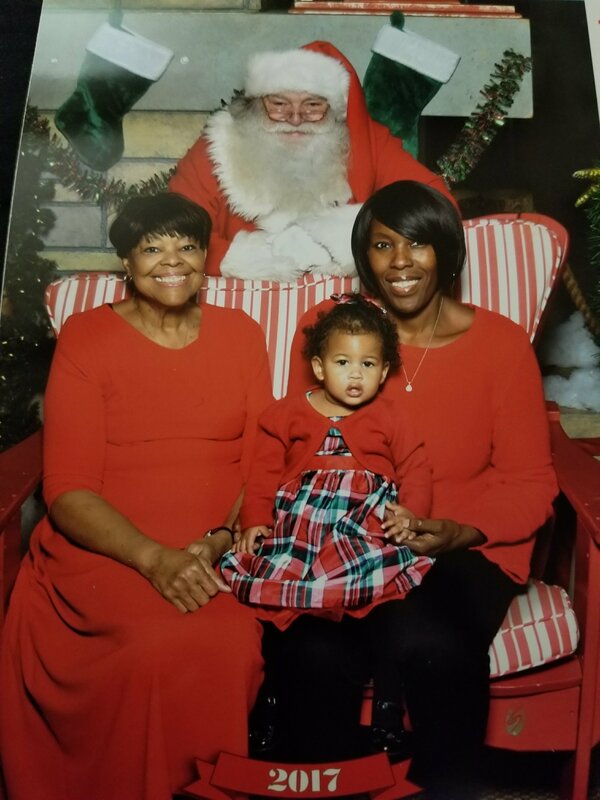 We took baby girl to the mall for the annual Photo with Santa. Of course, this year we ended up with a ceying photo ! 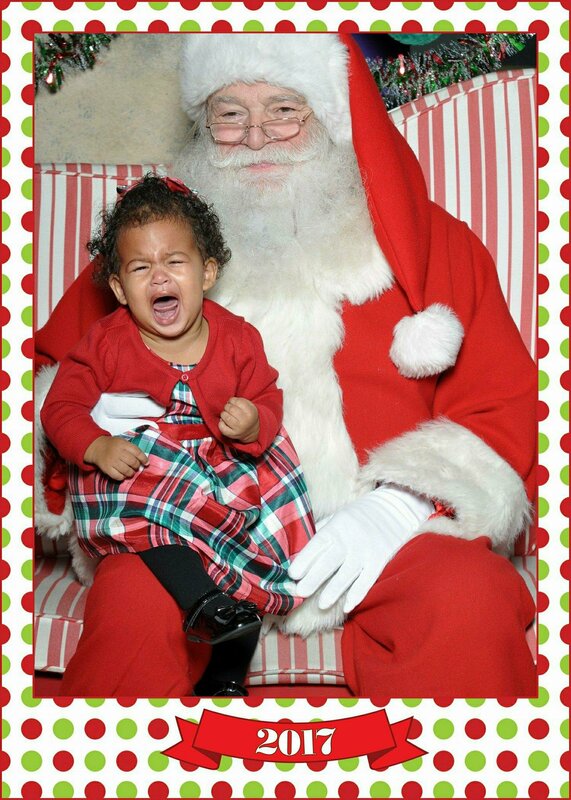 My baby did not want to sit on Santa’s lap ! She was chatting him up and smiling at him until she thought I was going to leave her and sat her on his lap. They took 6 or 7 pics and this one, below, was the best… My mom and I also took a photo with her as well. This entry was posted in Christmas 2017, Misc..., Mommy Blog, New Mom, Post Partum, Single Mother By Choice. Bookmark the permalink. Hello, I love this background/ border & was wondering what app or program you used to make it? I would really appreciate it and be very grateful if you wouldn’t mind passing it along. I hope you have a great holiday. And I hope to hear from you soon. Thank you.